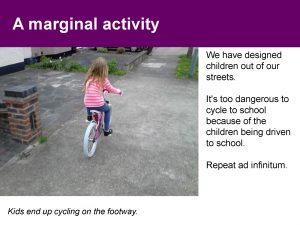 We have “designed children out of our streets”, they are “an indicator species” for good infrastructure. 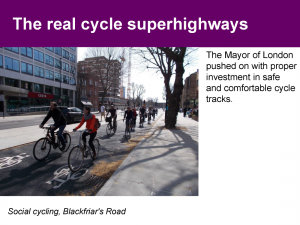 There has been innovation in Brighton with stepped cycle tracks that have priority over side roads (Old Shoreham Road) and floating bus stops and separate cycle signals (Lewes Road). The early London “so-called Cycle Superhighways” were “just rubbish, people got killed”. It took several fatalities and big protests to get cycling treated as a serious mode of transport. 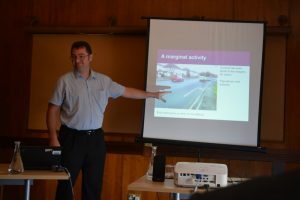 In conclusion, Mark stressed that good design for cycling “is about treating people with respect”.